With Table Mountain as a backdrop, it is not surprising that Cape Town is considered one of the most beautiful cities in the world to live in. The city boasts breathtaking attractions such as the V&A Waterfront, Table Mountain and pristine beaches. The suburb of Bakoven is also known as Camps Bay's baby sister, and derives its name from the large rock just off-shore from the beach, which looks like a massive oven door. Thanks to its close proximity to the city combined with a peaceful lifestyle, a Bakoven property offers homeowners the best of both worlds. One would be hard pressed to match the exclusivity and privacy that one of these magnificent properties offer. Residents can delight in a small but gorgeous beach; its white sand and large boulders presenting a perfect setting to sit and watch the sun set over the Atlantic Ocean. Set against the backdrop of the Twelve Apostles Mountain, the blanched beach is a popular surf spot for locals and tourists with its rocky left reef break and offers a short ride which is best on a large swell. Bakoven beach also offers refuge from the infamous Cape Town wind, as it has several little coves that provide shelter to sunbathers. While this incredible and zealously guarded little gem of the Cape offers a relaxed and idealistic lifestyle, it remains close enough to the city to appeal to residents who need to commute daily. The V&A Waterfront is a mere ten minutes away, where a shopper’s delight of over 450 retail outlets awaits. Residents also have easy access to Cape Town’s oldest living tradition. The firing of the Noon Gun on Signal Hill has long provided families with a fun day out. Enjoy a picnic while witnessing this historic event and take in the magnificent view which only gets better once the sun sets. Children will love the Two Oceans Aquarium which displays one of only two kelp forests to be housed in an aquarium in the world. Bakoven is a quiet area where many amazing family homes and holiday houses are situated right on the beach. The nearby suburbs of Camps Bay and Clifton offer a wealth of activities – here you'll find amazing restaurants, shops and cafes. For families looking for a seaside home to raise children, there are also great schools close to the Bakoven area. Bakoven is divided by Victoria road into two main sections. The area below consists of charming village style houses that slope down towards the beach. Above Victoria road the properties are similar to those of Camps Bay. Homes in this beautiful little suburb often offer residents spectacular views, which, along with its peaceful atmosphere, have made Bakoven property highly sought after in the real estate market. Whether you are looking for a large home nestled in the rocks with a breathtaking ocean view, or Contact Sotheby's today to find your perfect home. Sotheby's real estate agents are friendly and professional and will help you find your dream house. Some of world's most exclusive, expensive and beautiful real estate can be found in Bantry Bay. Lying on the rocks overlooking the Atlantic Ocean, Bantry Bay is absolutely gorgeous and a place for the rich and famous to call home. Protected from the wind, with views that make your heart ache with happiness, this elite neighbourhood is defined by its elegant modern architecture, affluent home owners and gorgeous panoramic visions of the sea. Bantry Bay was originally known as Botany Bay, named after a botanical garden which was planted in the area in order to cultivate medicinal herbs. The name was changed during World War 1. Its location makes this an ideal place for both families and professionals, as it is situated within easy distance from Cape Town's CBD. Bantry Bay is found on the outskirts of Sea Point, another of Cape Town's most desirable, upmarket areas, and is within close proximity to many of the city's highlights. The stunning Clifton beach is within walking distance from Bantry Bay. Sink your toes into soft sand on warm sunny days, or you could visit Saunders Rocks, a small tidal pool in Sea Point which the kids will love exploring. The affluent, bustling region of Camps Bay is very close to Bantry Bay, with a stunning beach and numerous shops and restaurants on offer. Buying a property in Bantry Bay is an investment for life. The illustrious area is peaceful and breathtakingly beautiful and the perfect place to relax and unwind after a hard day at work. Bantry Bay hugs the slopes of Lion's Head, offering magnificent views of the whole of Cape Town. The close proximity to the ocean means that you can drink in the sound of rolling waves and breathe in the salty fresh sea air. Cape Town has many wonderful places to discover and Bantry Bay is the perfect base from which to explore the eclectic, arty, upbeat city, which offers numerous restaurants, shops and a bustling night life. Explore the city bowl, have a drink in Long Street, or do some serious shopping at the upmarket V&A Waterfront. You could take the cable car to the top of Table Mountain and hike through the gorgeous fynbos, or visit Sea Point and wander down the promenade, enjoying the beautiful view of the sea. Bantry Bay is a stunning place and buying a property here is an investment in your future which you will never have reason to regret. Live your dream of owning a luxurious ocean view apartment. Spend your evenings watching the magnificent sunset and your days looking out on whales and dolphins frolicking in the crashing waves. In 1947, after the Second World War, Reverend WFH Jeffcoat, the owner of the land Bergvliet, sold a large portion of the Farm to council for the erection of homes for returning war veterans .Bergvliet, translating to Mountain streamlet in Afrikaans, was originally farmland belonging to Simon Van der Stel. The original Cape Dutch farmhouse still remains and the farm which was divided even smaller , has a natural bird sanctuary Die Oog where birdlife abounds.. This sanctuary is also a wetland and will hopefully be declared a nature reserve in the future. Our Lew Geffen Sotheby's International Realty property agents in Bergvliet, have recently sold the 100 year old farmhouse belonging to the manager of the Bergvliet farm. This property is situated in Sweet Valley road and its historical significance has created much interest. This tranquil leafy suburb, borders Constantia, Kreupelbosch, Tokai Constantia, andMeadowridge and is in close proximity to the Constantia Wine Route, Tokai forests, beaches of False Bay Kirstenbosch gardens and other places of interest. Bergvliet is home to three schools which were all built in the 1940s and early 1950s. ThePekalmy area of Bergvliet, where the Sweet Valley school is situated ,is a very sought after pocket due to the junior schools strict zoning policy and high educational standard . There are numerous shopping centres, including the Medowridge shopping mall, Constantia Village and the Blue Route mall, libraries, a civic centre, bowling clubs and sports facilities Numerous restaurants and coffe shops provide a meeting place for the locals, close to home. There are also various places of worship for all the religious denominations. This area provides affordable housing and the entry level for a more modest original home requiring renovation is lower, with higher prices being achieved for modernised homes. The area offers value for money with large plots and garaging, and there are also security villages and retirement homes for various age groups. Bergvliet offers its residents a leafy, secure environment with good schools, places of worship and entertainment , together with a rural lifestyle. Bishopscourt is one of Cape Town's most sought-after and prestigious suburbs, and was laid out on the grounds of the farm Bosheuwel ("bushy hill"), originally owned by Jan van Riebeeck. There are excellent medical and school facilities, upmarket shopping nodes, a number of churches and golf courses close by and not to forget Cape Town's famous beaches are easily accessible. The area is central to some of Cape Town's finest natural attractions including The Table Mountain National Park, Cecilia Forest and Kirstenbosch National Botanical Garden, which all offer lush green scenery, fabulous walking and hiking trails and respite from the city. Kirstenbosch Botanical Gardens has two excellent restaurants and hosts popular outdoor Sunset Concerts on Sunday during the summer months from November to April. Bishopscourt is one of Cape Town's oldest suburbs and was established on the site of Jan van Riebeeck's farm Bosheuwel, in 1658. In 1660, a hedge of wild almond trees was planted around the borders of the Dutch settlement at the Cape to protect against cattle theft. Portions of this Van Riebeeck Hedge are still visible, and the section on Wynberg Hill was declared a national monument in 1945. It still forms an impressive natural boundary to a number of Bishopscourt homes. It was named Bishopscourt because it is here that the Anglican Archbishop of Cape Town still has his official residence. Today this prestigious area is home to many of the most beautiful homes in South Africa, and has some of the most valuable real estate on the continent. The suburb consists of approximately 145 large, generally one acre properties, most with exceptional northfacing views of the back slopes of Table Mountain. Bishopscourt is also popular for enjoying entirely wind-free summers, unlike many areas of Cape Town that are exposed to the strong south easter, commonly known as the "Cape Doctor". Far from how it is today, Camps Bay once had only one owner, John Lodewyk Wernich who eventually passed the area on to his son. When Johan Wernich married Anna Koekemoer, she was eventually widowed in 1778 and subsequently inherited the entire area. When Anna met a sailor called Frederik Ernst von Kamptz the area became known as “Die Baai van von Kamptz” – everyone in the area were convinced Frederik married Anna for her money. “Die Baai van von Kamptz” is merely the translation for Camps Bay – as we know it today. Today Camps Bay is one of Cape Town’s most affluent areas. It is close to other luxurious suburbs such as Clifton and Bakoven. It is a popular tourist destination during the summer months, its pearly white beaches being the main attraction. Camps Bay has a trendy nightlife with many clubs and restaurants available for the happy holidaymaker. It is therefore no surprise that Camps Bay is a popular place for purchasing property to let to tourists and South Africans alike. Yet, this is not all that Camps Bay has to offer. There are also permanent residents in Camps Bay. These homes range from families, young professionals and retired residents. There are many schools available in the area and any other amenities needed by residents are available. Camps Bay offers many shops, cafes and restaurants. Camps Bay has various luxury beaches where people can enjoy a variety of activities. Oudekraal is a collection of smaller beaches sheltered by boulders. You can enjoy picnics and braais here or just laze around. Lui Bay is a popular beach for diving and Koeël Bay has an African open-air curio market that sells hand crafted items from all over Africa. It is a popular spot to relax and laze in the sun. Another residential area close to Camps Bay is Bakoven which gets its name from the large rock just off-shore which looks like an oven door. Camps Bay Beach was awarded blue flag status in 2008 and is a wonderful Cape Town beach which is very popular. It is the largest white sand beach in Camps Bay. Camps Bay Beach offers many beach front cafes and umbrellas and loungers are available to rent. Contact Sotheby’s today for your perfect Camps Bay property. Sotheby’s real estate agents are friendly, professional and will assist you in getting the perfect Camps Bay property for your needs. Cape Town's City Bowl is shaped by the natural amphitheatre of Devil's Peak, Table Mountain, Lion's Head and Signal Hill. It is flanked to the North by Table Bay and the Cape Town Harbour. Since the arrival of the Dutch East India Company in 1652, the area has been known as The Cape of Good Hope. Modern day South Africans now refer to Cape Town as ‘The Mother City' due to its' friendly and welcoming nature. Cape Town is the 2nd biggest city in South Africa, and the largest city in the Western Cape. There are many major attractions in Cape Town for local and international business people and tourists from around the globe. Table Mountain, the Houses of Parliament, the Company Gardens, the Castle of Good Hope, the V&A Waterfront, Robben Island, Canal Quays, Cape Town International Convention Centre (CTICC) and a bustling and vibrant City Centre to name but a few. The Cape Town property market and Cape Town's residents are as diverse and exciting as the attractions to which its' numerous visitors flock. The Cape Town property market contains various residential suburbs including the CBD, Gardens, Zonnebloem, Vredehoek, Devil's Peak, Oranjezicht, Higgovale, Tamboerskloofand Bo-Kaap. Wonderfully new and renovated Vredehoek homes and apartments, together with Devil's Peak's townhouse developments, overlook the city. From modern and chic city penthouses in the hustle and bustle of Adderley Street and Strand Street to the old and established Oranjezicht homes in the Avenues. From Higgovale mansions perched on the slopes of Table Mountain to the colourful and vibrant charm of Bo-Kaap's cottages bordering the CBD. From older flats in Gardens, in the vibrant Kloof Street area, to the quiet and serene Tamboerskloof homes and apartments, nestled below Lion's Head. Real Estate in Cape Town is extremely diverse and allows the Cape Town resident a choice that suits any type of lifestyle. Whether it be buying a home in Oranjezicht for R5,000,000 or renting an apartment in Tamboerskloof for R5,000 per month, the major tourist attractions, restaurants, shopping centres, schools and hospitals are all on the doorstep of the City Bowl resident. Prime property for sale in Western Cape, Claremont Lynfrae is a quiet leafy suburb situated in the heart of the Southern Suburbs. With its easy access to most highways it is a mere 10 minutes from the centre of Cape Town. The Lynfrae borders have expanded over the years to form the area between Keurboom Road, Palmyra Road, Belvedere and Lansdowne Roads. Originally farming land it was divided into residential by the British in the early 19th Century. The history of the area contributes to the character of the homes being high ceilings, wooden floors and fireplaces. The area is mainly family orientated offering large family homes on large grounds in what we call Lynfrae Proper to slightly more compact homes for the smaller starter family or the young single professional on the outskirts of the area. Being in the catchment area of top Cape Town private and government schools is a major advantage of living in Lynfrae. Claremont Lynfrae offers a small community feeling with local shopping villages the original being Belvedere Square with a Woolworths food and coffee shop, Pet Store, Book shop plus other small convenience stores. The new modern buzzing Palmyra Centre has a much larger Woolworths Food Store, Vida Coffee, Gift Shop and the delicious coffee shop and Bakery, Knead. Keurboom Park adds to the community feeling as its expansive size and leafy atmosphere is the perfect getaway after a long day at work. It is ideal for the avid dog walker, bordering onRondebosch Boys' High School grounds just adds to the park's vast size and sense of urban retreat. In support of the school going community there are many playschools and preschools in the area that are all feeders to these local schools. Lynfrae is in close proximity to the buzzing Claremont CBD and the very' in style' Cavendish Square. On the border of the well-known sporting hub of Newlands, Lynfrae is within easy walking distance of all the great Cricket and Rugby events. There are lovely guesthouses and bed and breakfast facilities for the avid sporting fans. Kelvin Grove and Western Province Cricket Club are great places to meet and offer various sporting facilities for the whole family. Top medical facilities are a small hop away beingClaremont Hospital and Kingsbury Hospital as well as a short drive to the well-known Red Cross Children's Hospital. The new Claremont station has recently been upgraded bringing growth and development to the Claremont area as a whole. Claremont, in the heart of the Southern Suburbs and situated only 9,5km south of the city centre, is a bustling and popular suburb of Cape Town. This vibrant district, and important commercial and residential area, is well known for its extensive shopping, dining and entertainment facilities. Its many attractions include Cavendish Square Shopping Centre and its close proximity to the famous Newlands cricket and rugby stadiums, home to many international games and test matches. The Dutch colonists arrived at the Cape in 1652 and established an outpost on the shore of Table Bay. In 1657 they developed a number of farms south of the outpost, which today are the suburbs of Claremont and the adjoining suburb of Newlands. After the colony was taken over by the British in 1814 British settlers and officials bought the farms, re-named some of them and turned them into country residences. The farm Weltevreden was subdivided in 1822 and a portion of it was renamed Claremont, a name that was applied to the whole area in 1840. The village grew during the 1840s and 1850s and the opening of a railway from Cape Town to Wynberg in 1864 spurred subdivision and development. In 1882, a village management board was formed which was replaced by the Municipality of Claremont in 1886, tasked with managing neighbouring Newlands too. 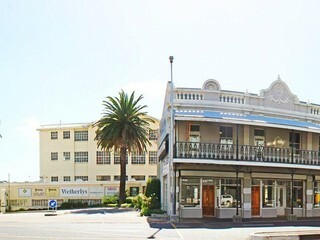 Claremont was a town in its own right until 1913 when, together with most of the Cape Peninsula municipalities, it was incorporated into the City of Cape Town. It remained predominantly residential until the early 1970s. Claremont Upper properties are generally large, spacious homes sought after by young families looking for proximity to the many fine schools in the area. The leafy "Hen and Chickens" estate features grand homes in general situated on half acre plots, and upmarket townhouses much sought-after by downscaling couples and small families. Clifton is a luxury suburb of the Cape Town area. It's an exclusive area where some of the most expensive real estate in South Africa can be located. Clifton properties offer some of the best views with houses nestled on the breath-taking Clifton cliffs. The Clifton area is great for families looking for the perfect home, young professionals and is also a sufficient area for people looking for retirement property close to the sea. The first people to live on the Atlantic Seaboard were the San people. They roamed the coast, hunted their way from day-to-day and lived in the caves along the coast. Back in 1783 Clifton was known as Schoemakers Gat or Cobblers Cave. The name derived from a story told that a shoemaker lived in the Clifton caves and when the farmers would pass on their way to Cape Town he would mend their shoes. Yet, around 1890, long after the shoemaker was gone, the area was named after the lady who ran the only hotel in the area and her name was Bessie Clifton. The name stuck to say the least and by 1900 Cape Town residents started making Clifton their main holiday spot. The first of these houses were small, modest wooden houses. Even though Clifton makes for a unique and luxurious permanent home, many people purchase Clifton properties as holiday retreats. The famous set of four beaches in Clifton is its most popular feature. Both locals and tourists flock to these beaches during the summer months. They are named from 1st to 4th beach and are each separated by falls of granite boulders. The beaches have what looks like almost pure white granitic sand. Clifton's beaches are popular not only for their pearly sands, but also for the fact that the beaches are protected from the infamous south-easterly wind. There is also a fifth beach, named Moses Beach, which appears and disappears as the sand is washed in and out with the seasons. The beaches are popular with water sports, especially surfing. The beaches, especially fourth beach, are popular with families and groups of friends. Yachts laze nearby off-shore. 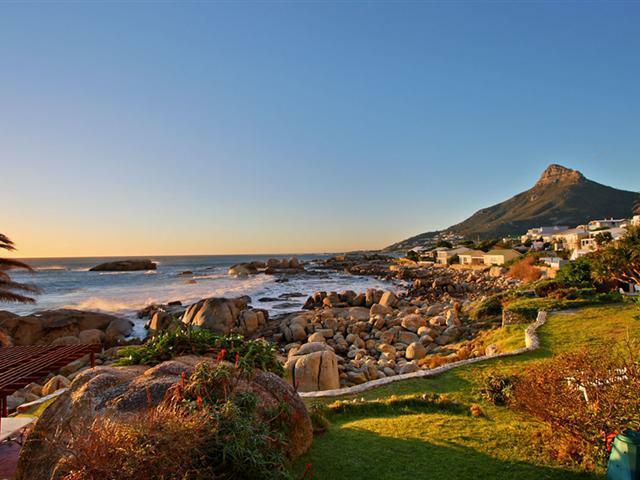 Clifton is close to other popular and affluent suburbs such as Bakoven and Camps Bay. It is close to all the necessary amenities, like shops, cafes, restaurants and small malls. It is also close to the city of Cape Town and the Waterfront. This makes it a perfect place for the ultimate Cape Town living experience where you can be close to the hustle and bustle of the city, but also have a home close to the relaxing beach with its amazing views. Constantia upper propertyis located in one of the most prestigious southern suburbs of Cape Town, providing substantial residential property zones shared with wine farm regions across the whole Constantia Valley. A region synonymous with wealth & wine, Constantia property is ideally located between the Indian Ocean beaches, Tokai Forests, Zwaanswyk and Wynberg. The sought-after areas of Constantia offer a wide range of premium residential lifestyles from R1.5m up to R60m or more. The suburb is family-orientated and provides a variety of property styles from rambling homesteads to highly secure security estates over a vast green valley region. Constantia, and it’s surrounding sub-regions (Upper, Lower, Rural & Hills) offers close proximity to horse riding, water sports, mountain bike trails, hiking, rugby, sailing, fishing, golf etc and has a wide network of gym, indoor & outdoor health & leisure activities. Within Cape Town’s borders are a number of fantastic suburbs, each bringing something unique to the city’s culture. De Waterkant, one of the Mother City’s most affluent, cosmopolitan areas, is known for its vibrancy. With beautiful homes, great amenities and perfect views of Table Mountain, the area is one favoured by both tourists and locals, as it has something to offer everyone. De Waterkant is located very close to the city centre, making commuting an easy task. The MyCiti bus route goes through the area forming part of the transport system that has been hailed as revolutionary in Cape Town, due mainly to the fact that it is extremely efficient and cost effective. Furthermore, De Waterkant is just a stone’s throw away from two of the Mother City’s main attractions, namely the Cape Town Stadium, which has hosted a number of international musicians and athletes, as well as the Victoria and Alfred Waterfront, a shopping mecca for all those who enjoy a bit of retail therapy every now and then. With a strong café culture, De Waterkant has a number of coffee houses and restaurants located throughout its cobblestoned streets. There are a number of established, well sought-after properties in the area as well. It is a well-known fact that if a home in this suburb goes on the market, it won’t be available for much longer. The architecture in the area speaks to all manner of preference, with Old Cape Dutch homes standing alongside slick, modern apartments. De Waterkant is the perfect area for anyone looking for a vibrant lifestyle within which to settle down. With so much to see and do, being so close to so many of Cape Town’s main attractions, the suburb will certainly not disappoint. At some point in all of our lives we start to look for a place which feels like home. Perhaps we want to find a place to raise a family, to embark on a new life as a couple or to start a new career as a young professional. Fresnaye is a place which caters for everyone, suiting every lifestyle. Property in Fresnaye is extremely desirable, offering first world comfort and luxury, stunning views, relaxing surroundings and an upbeat atmosphere. It is situated close to Cape Town's CBD, making it the ideal location to base yourself if you need to be close to work. Many of the tree-lined avenues in Fresnaye are named after places in France, due to the fact that the majority of the land was once owned by a French family named Le Sueur. The family fled from religious persecution in France and made their home on the stunning banks of Fresnaye, which is named after the French region, Normandy Fresnaye. Located between Bantry Bay and Sea Point, Fresnaye is an exclusive area offering stunning property with some of the most spectacular panoramic views in the world. Look out across the ocean and breathe in the fresh air, as you feel your cares melt away. Go to sleep every night with the colours of the sunset glowing in your eyes. Buying a property in Fresnaye is a decision you can't regret. Once you live there you will never want to leave! Pop down to the beautiful beaches of Camps Bay and Clifton which are a mere five minutes away and be seen amongst Cape Town's most beautiful and famous, as you relax in the sunshine and work on your tan. Wander down the Sea Point promenade and enjoy the sound of the ocean and relax on the grass in the park. Take the kids to play putt putt or see if you can conquer the epic maze or splash around in the Pavilion public pool, which has a magnificent view out over the ocean. Fresnaye is within easy reach of many of Cape Town's highlights- visit the V&A Waterfront and find luxury goods at the upmarket shops, or drive to Long Street and immerse yourself in the colourful, eclectic, arty atmosphere of one of Cape Town's busiest streets. Fresnaye's close proximity to Cape Town's CBD means that work will be an easy distance away. Come home every day and drink in the relaxing atmosphere of the restful, upmarket neighbourhood and perhaps pop into your favourite coffee shop or restaurant for a delicious dinner. There are so many shops and restaurants around you will be spoilt for choice! Buying a property in Fresnaye is the ideal solution for families with young children, with a friendly atmosphere and many recreational facilities nearby. In the evenings the adventurous could climb Lion's head and witness a spectacular sunset over the whole of Cape Town. Or you could simply look out the window of your apartment, with a glass of wine in your hand and enjoy the multi-coloured reflection of the pink-purple sky as the sun sets over the ocean and smile and think how lucky you are to live in a place like Fresnaye. Gardens in Cape Town takes its name from the Company's Garden, which is situated at the upper end of Adderley Street in the city centre. Hendrik Boom, master gardener of the Dutch East India Company (hence ‘Company's Garden') first prepared the garden for seeding in 1652. Gardens, which lies between Roeland Street to the North and Camp Street to the South, is an appropriate name for a green and lush suburb in the heart of the city. Major tourist attractions in Gardens include the Houses of Parliament (Roeland Street), Iziko South African Museum (Queen Victoria Street), the SA National Gallery (Government Road) and the South African Jewish Museum (Hatfield Street). The Gardens residential property market includes both freehold homes and sectional title apartments. Gardens, together with Vredehoek, is seen as a good value suburb in which first time homeowners and young couples can buy into Cape Town's City Bowl. To purchase a Gardens property will range in price from approximately R1,800,000 to R3,000,000. To purchase a Gardens apartment will range in price from approximately R500,000 to R1,600,000. There is also a high demand for residential property leasing in Gardens, both in freehold and sectional title. To rent a Gardens residential property will range in price from approximately R8,000 per month to R14,000 per month. To rent a Gardens apartment will range in price from approximately R4,000 per month to R8,000 per month. Gardens is full of great restaurants, cafes and bars. These are generally situated around the vibrant Kloof Street area. There are also great theatres in the Orange Street area, such as The Little Theatre and The Labia Theatre. UCT's Fine Art and Drama School, Michaela's, is also situated here. High quality shopping centres are also present, such as the Gardens Centre (Mill Street), The Lifestyle Centre (Kloof Street) and Wembley Square (Solan Road). The Cape Town Medi Clinic (Hof Street) is a top class hospital in the area, renowned for its' world-class and award-winning maternity ward. Schools in the area include Herzlia School, Jan van Riebeeck Primary School, Jan van Riebeeck High School and Cape Town High School. Gardens is a popular residential suburb in Cape Town's City Bowl due to its' proximity to the CBD, its' green and open spaces, its' exciting energy and its' affordability. Nestled right in the heart of Cape Town's social activity, between prominent landmarks such as the V&A Waterfront and Signal Hill, is a suburb renowned for its beautiful terrace homes - this suburb has often been referred to as the Soho of Cape Town, but is officially known as Green Point. Green Point has been associated with the Green Point Common as far back as the 18th Century, at which time it was known as De Waterplaats by the Dutch. This scenic expanse of land which extends from the magnificent Atlantic shoreline to the foot of Signal Hill became vested land after being granted to the Cape Town City Council in 1923 by the Union Government as Commonage. The land was then used for recreational purposes and sporting activities such as sailing regattas and cricket matches. Despite its long and often turbulent history of weathering political emancipation, slavery, Apartheid and generations of paupers and impoverished immigrant workers, Green Point has emerged as a thriving property and social hub in the Cape Town metropolitan. With its buzzing nightlife, incredible mountain and ocean views and various small businesses and restaurants, the potential for urban development in this up and coming area was quickly recognized and embraced by property investors and developers alike. Now, years later, Green Point boasts a booming network of local businesses, social activity and Green Point real estate. Green Point is in close proximity to some of the city's most popular attractions, including the V&A Waterfront, Sea Point and Camps Bay. This together with easily accessible surrounding areas and quaint Victorian cottages has caused a boom in Green Point property as this hillside neighborhood has become a coveted residential area. Whether you're interested in buying or renting, Lew Geffen Sotheby's International Realty offer premier real estate and can help you find the perfect Green Point property. Contact one of our estate agents now and begin searching for your dream home in one of Cape Town's most cosmopolitan neighborhoods. Cape Town’s Southern Suburbs are considered to be the ideal place to raise a family. With plenty of great schools around, and virtually unlimited amenities, this part of Cape Town has some highly sought after addresses. Nestled within the heart of the Southern Suburbs is Kenilworth, a quiet little suburb that is close enough to all of the facilities that make Cape Town the special place that it is. Properties in Kenilworth are varied, and range from quaint little semi-detached homes to bigger family homes. All in all, the properties in this area are good value for money. Classically beautiful homes, many of which have expansive gardens, are not out of the ordinary in this suburb. The tall, never-ending grove of trees that line Rosmead Avenue, one of the area’s main roads, provide the suburban bliss that many of us dream of. There are also a number of neighbourhood watch groups and ample guard houses to ensure the safety of residents. Being so centrally located in the suburbs means that Kenilworth is close to all manner of the region’s amenities- roughly ten minutes’ drive away is Cavendish Square, one of Cape Town’s most popular shopping malls, offering a mix of convenient supermarkets, bookstores and fashion outlets. Not to mention that just a short distance from Cavendish is Palmyra Junction, another convenient shopping complex offering smaller scale shopping in a more easy going environment. Being a fairly family-orientated area means that naturally, Kenilworth is host to a number of good schools. Independent schools Cedar House and the Michael Oak Waldorf School are located in Kenilworth, while Herschel Girls, Wynberg Girls, Wynberg Boys and Micklefield schools are all within a five kilometre radius. Once their schooling years end, your children can also enjoy tertiary education from the University of Cape Town, which is just a short commute away from Kenilworth. Kenilworth Upper borders Wynberg and Claremont and is one of the most well loved and established areas in the Southern Suburbs of Cape Town. There are excellent medical facilities and a number of private hospitals in close proximity, and several leading local schools are in the immediate vicinity. Included amongst the many facilities that make this area so attractive to home owners is its proximity to the upmarket Cavendish Square Shopping Centre with its exclusive shops and designer boutiques, Kenilworth Racecourse, the Constantia Wine Route featuring some of Cape Town's oldest vineyards, and the many large and attractive older homes on big grounds in the area. Kenilworth lies between the suburbs of Claremont and Wynberg and is a leafy suburb conveniently located for top schools. It is a well established part of Cape Town,offering good value for money. The area is very conveniently located, the city is only a 20 minute drive away, Claremont and its extensive shopping centres isminutes away and the area iswithin an easy distance of Cape Town's many scenic beaches. As a result of the recurring shipwrecks in Table Bay in the early 18th Century, the then governor made the decision to erect a breakwater (known as mouille in French) to protect vessels in the area. Slaves and convicts began working on the breakwater in 1743, during which time local farmers would load up their wagons with stones and offload them at Mouille Point. However, after 3 years of intense labour and relentless high seas, the ambitious project was abandoned, leaving only 100m of the breakwater completed. The French arrived in 1781 and added a battery near the unfinished breakwater and named it Mouille Point Battery. The trademark candy striped lighthouse, which interestingly is the oldest operational lighthouse in South Africa, was built 43 years later and soon became one of Mouille Point's most distinct features. Ideally situated between the glittering Atlantic Ocean to the north and west and the trendy suburb of Green Point to the south, Mouille Point offers close proximity to popular districts such as the V&A Waterfront and the Cape Town City Bowl, as well as unforgettable coastal views from the famous Mouille Point promenade which stretches to Bantry Bay. With a spectacular coastal location and excellent proximity to the central business district, this affluent suburb has fast become a sought after residential area amongst Cape Town's rich and famous. The picturesque coastal setting has made the beachfront a popular residential development area, with high and mid-rise buildings making up the largest portion of the Mouille Point property and various cafés and delicatessens making up the remainder. Mouille Point is essentially every investor and home buyer's paradise. Mowbray is very popular for its excellent location, close to top schools namely Rustenburg, Rondebosch Boys, Bishops, St Georges School and the Rondebosch Common. There many student digs for a mixture of people going to the University of Cape Town and Groote Schuur Hospital. Upper Mowbray boasts of Victorian Icons - namely Penrose and Charlton residential properties'. The Main Road Mowbray, which functions as an interchange for buses, taxis and trains. Greening projects, such as planting trees, has improved the area, and trendy restaurants and coffee shops have moved into Durban Road - now a food lover's paradise - where locals sprawl out on to the pavements and catchy names like ‘Fat Cactus' and ‘Chai Yo' attract the student population. Mowbray stretches from Mostert's Mill, built on the farm Welgelegen around 1796, to the Rondebosch Common, Mowbray is popular for its quiet, leafy residential areas in Little Mowbray, the Village and Upper Mowbray with Victorian terrace homes, some of which are national monuments, and gorgeous examples of Cape cottages. Golden Arrow buses travel between Mowbray and Kirstenbosch on a regular basis. The well known Quaker Peace Centre has its offices in Mowbray. Since Mowbray has a reputation of being a transitory neighbourhood it is an attractive choice for first time homeowners and investors alike. Older houses are becoming the focus point for renovating and refurbishing. These homes are more affordable and close to Buses, taxis and trains as well as the Jammie Shuttle. Easy access to the N1/N2 and M5 Freeways and takes 10minutes to get to the International Airport. Newlands is situated on the eastern slopes of Table Mountain where upmarket modern homes adjoin historic cottages, homesteads and family homes in tree lined avenues. Home to South Africa's oldest school SACS, university UCT and cradle to both South African Rugby and the mighty South African Breweries, Newlands is a vibrant area. It is conveniently situated for the main attractions of Western Province Rugby and Cricket grounds and the leading private and government schools of Cape Town such as SACS, Westerford, Bishops, Herschel, Rondebosch, Rustenberg, and Sans Souci. It is within minutes of the leading shopping centre of Cavendish Square as well as Dean Street Arcade and many classy gastro pubs, boutiques and restaurants. Kirstenbosch Botanical Gardens, the University of Cape Town and the Cape Town City Centre are also only minutes away. Home to the Kelvin Grove Club, Newlands offers an air of tranquillity and charm amidst the rush of life in the southern suburbs of Cape Town. Whether you are wanting a contemporary masterpiece with excellent views from high on the slopes of Upper Fernwood, a cosy cottage in the historic Newlands Village area or a comfortable family home in the leafy avenues of Hiddingh Estate, Newlands will take care of your every need in terms of up market schooling, shopping, exercise and entertainment which are all in close proximity. For this reason, Newlands property values are high and cushioned from the fluctuations which affect other less popular areas. Developments and restorations are closely monitored by Heritage authorities who keep a watchful eye on preserving the charm and character of Newlands. The name Observatory is derived from the location of the first Royal Observatory situated near the Liesbeek River in 1820. This site is now an on-site museum exhibiting historic instruments and telescopes. Observatory traces its origins to the Koornhoop Colony land grant, in 1657. "Obs"as it is known locally is one of the oldest suburbs in the Cape Town property area. It was where all races lived together during the Apartheid years. It continues to be an alternative part of town with its Holistic fairs held on the first Sunday of each month which offer all sorts of things like physic readings, unusual clothing, jewellery , massage, health foods & tattoo stalls.Age style shops and trendy restaurants are found mainly in Lower Main Road. It is a popular area for students and lecturers as it is close to the University of Cape Town (UCT) and the Medical School. Professor ChristiaanBarnard performed the world's first heart transplant on 3rd December 1967. "Obs"has a vibrant entertaining history. Students abound in the area with numerous restaurants, bars and has a high turnover of young people. Lower Main Road is full of these venues. The Anglican Parish church of St Michael & All Angels are located here and designed by the famous Sir Herbert Baker. Crime has been a problem but in November 2009, Observatory Neighbourhood Watch (OBSID) has been established to improve and enhance the suburb. CCTV cameras have also been erected at most of the exits and entrances to Observatory. There is a 9 hole golf course and driving range at the Riverclub. The soccer and hockey stadiums below the station are used on a regular basis and The Circus School gives performances quite frequently.Beyond the astronomical observatory is the Valkenberg psychiatric hospital providing patient care for the mentally ill. Close by is the Wild Fig Restaurant & hotel. Due to its popularity for students, lecturers and medical staff,Observatory is extremely affordable in the property market and if priced correctly the small Victorian homes and Semi's are sold very quickly.Observatory is the location for much of the short-term accommodation used by increasing numbers of overseas, particularly North American and European students attending UCT. The N2 Freeway allows easy access to the city and the International airport which makes Observatory an ideal area to reach certain destinations in the Southern Suburbs. Oranjezicht in Cape Town can be literally translated as ‘Orange View'. It was named this either due to the view of the Oranje bastion of the Castle of Good Hope or the abundance of orange trees that used to grow in Table Valley. Together with Tamboerskloof, it is one of the older and more established suburbs of Cape Town. Traditional Victorian double-storey Oranjezicht properties are on larger stands, together with well-maintained and well-built sectional title apartments make up this highly sought-after area. Oranjezicht lies directly beneath Table Mountain and above Camp Street, between Upper Buitenkant Street to its' East and Molteno Road to its' West. The major attractions to Oranjezicht include the closest views of Table Mountain possible, the feeling of space of its' reservoir-flanked and tree-lined homes and its' position and views directly above the city. Oranjezicht borders Table Mountain National Park. Properties in the area known as ‘The Avenues' (Belvedere Ave, Alexandra Ave, Belmont Ave, Montrose Ave) are always in high demand. Rugby Road and Bridle Road are amongst the highest roads in Cape Town and the most sought-after addresses. The Oranjezicht residential property market includes both freehold homes and sectional title apartments. Oranjezicht, together with Higgovale and Tamboerskloof, is viewed as one of the most sought-after suburbs in Cape Town's City Bowl. To purchase an Oranjezicht property will range in price from approximately R4,000,000 to R10,000,000. To purchase an Oranjezicht apartment will range in price from approximately R900,000 to R3,000,000. There is also a high demand for residential leasing in Oranjezicht, both in freehold and sectional title. To rent an Oranjezicht home will range in price from approximately R15,000 per month to R40,000 per month. To rent an Oranjezicht apartment will range in price from approximately R5,000 per month to R12,000 per month. Oranjezicht is home to restaurants, cafes and delis. These are generally situated around the Upper Orange Street area. Niche shopping is also present. The Cape Town Medi Clinic (Hof Street) is a world class hospital right on the doorstep of Oranjezicht. St Cyprian's School (Table Mountain National Park) is a well-renowned school in the area. Oranjezicht, together with Higgovale and Tamboerskloof, is one of the most sought-after residential suburbs in Cape Town's City Bowl due to its' proximity to the city, its' green and open spaces, its' position right below Table Mountain and its' stunning views. Rondebosch is primarily a residential suburb in the Southern Suburbs of Cape Town with a medium size shopping area as well as a small business district. It is best known for its excellent schools and also for the University of Cape Town. The University is considered one of South Africa's finest institutions and its prestigious local schools include: Diocesan College (Bishops), Rondebosch Boys, Rustenburg Girls, Westerford and St Joseph's College. Near the University is the Rondebosch tennis courts, well known as one of the City's main tennis venues. The University itself has facilities for most sports and Western Province Cricket Club situated in the heart of Rondebosch caters for some excellent new facilities including tennis and hockey. It also sits on the doorstep of The Newlands Rugby and Soccer Stadium and Newlands Cricket Grounds. Rondebosch is home to the historic Groote Schuur estate which includes presidential and ministerial residences of Cape Dutch origin. The district encompasses Cape Towns' second biggest theatre complex - the Baxter Theatre and the business centre on the Main Road has recently been revitalized and is known as the trendy "Rondebosch Village" popular with students and residents alike. It is also very accessible to the M3 and M5 and is only 5klms to the City Bowl. The well-known " Jammie Shuttle" makes it very convenient for students who live in the area to commute to UCT. Once a Military campground, Rondebosch Common is a popular national monument in the area. It is also an important fynbos conservation area where you can walk the dogs, have a run or just admire the beauty of the mountain and Rhodes Memorial. In view of all the above it is no surprise that property prices in Rondebosch remain consistenly high as it is a highly sought-after area. Sea Point is an exciting, developing area, perfect for families and professionals, ideally positioned both for fun and relaxation and in close proximity to Cape Town's CBD. With magnificent views of the sea, a stunning promenade perfect for runners and midday strolls, buzzing restaurants, recreational facilities and more, Sea Point is a great place to invest in property and to put down roots. Sea Point has a chequered history. Once designated, a ‘Whites only' area during the Apartheid Years, thankfully those times are over and the region is now home to a diverse population of people. Up until the thirties, Sea Point was a tiny seaside resort where wealthier Capetonians had their vacation homes. Later, in the fifties, the first high rising apartment blocks were constructed and today the face of Sea Point has changed again, offering apartments synonymous with luxury. Wander down the road to your favourite coffee shop- you will find it hard to choose, as there are many restaurants and coffee shops on offer, from expensive luxury fine dining options to quaint little atmospheric gems. Drop into your favourite local pub for a pint, or dance the night away at one of the music clubs. Sea Point has a rich nightlife with something for everyone and an irresistible carnival atmosphere. Buying property in Sea Point is a safe investment, wake up every morning to a view that most people only dream of. Watch the waves crash against the wall and listen to the sea gulls as they circle for food. The luxury apartments offer every first world comfort and the infectious cosmopolitan atmosphere and friendly community make it an ideal place to raise a family. Take the kids for a walk along the promenade, which stretches from Bantry Bay to Mouille Point and perhaps take in a game of putt putt or a refreshing dip in the Pavilion public pool. Stroll down with your partner at dusk and sit on a bench and watch a spectacular sunset together. Enjoy a picnic at one of the parks and lie on the grass and read and relax on the weekends. There's reason that Sea Point property is some of the most desired real estate in the world and once you live here you will never want to leave. The proximity to Cape Town's CBD is ideal for professionals, providing easy, hassle free access to work. Cape Town has numerous shops and restaurants to discover and an eclectic, upbeat vibe that makes exploring it a pleasure. Sea Point is five minutes away from the V&A Waterfront which has a number of upmarket shops and restaurants to delight visitors and locals alike. Stop by the nearby Camps Bay and Clifton beaches for a refreshing swim and sunbathe, or drive to Lion's Head and look out over a view of Cape Town which will take your breath away! Come home to your property in Sea Point, and feel your cares melt away, as you breathe in the fresh sea air, listen to the noise of the ocean and watch the sky change to dappled pinks and oranges as the sun sets. The luxury high rise apartments promise every luxury and the friendly, relaxed, upbeat atmosphere makes living here an unforgettable experience. Tamboerskloof in Cape Town can be literally translated as ‘Table Ridge', named due to its' position next to Table Mountain and below Lion's Head. Together with Oranjezicht, it is one of the older and more established suburbs of Cape Town. Victorian double-storey homes on smaller stands, together with well-maintained and well-built sectional title apartments make up this highly sought-after area. Tamboerskloof lies directly beneath Lion's Head and above Kloof Nek Road, between Milner Road to its' North and Quarry Hill Road to its' South. The major attractions to Tamboerskloof include the views of Table Mountain and Devil's Peak and its' position and views directly above the city. Tamboerskloof borders Table Mountain National Park. Homes in the area are always in high demand. Leeukloof Drive, Hilldene Road and Bay View Avenue are amongst the exclusive roads in Cape Town and the most sought-after addresses. The Tamboerskloof residential property market includes both freehold homes and sectional title apartments. Properties in Tamboerskloof, Oranjezicht and Higgovale are the most sought-after suburbs in Cape Town's City Bowl. To purchase a Tamboerskloof property will range in price from approximately R2,800,000 to R10,000,000. To purchase a Tamboerskloof apartment will range in price from approximately R850,000 to R2,500,000. There is also a high demand for residential property leasing in Tamboerskloof, both in freehold and sectional title. To rent a Tamboerskloof property will range in price from approximately R13,000 per month to R35,000 per month. To rent a Tamboerskloof apartment will range in price from approximately R4,500 per month to R11,000 per month. Tamboerskloof is home to many restaurants, cafes, bars and delis. These are generally situated around the Kloof Nek Road area. Niche shopping is also present in this area. Hospitals on the doorstep of Tamboerskloof include the Cape Town Medi Clinic (Hof Street) and the Christian Barnard Hospital (Longmarket Street). The Deutsche Schule Kapstadt (De Hoop Avenue) is a well-renowned school in the area. Tamboerskloof, together with Oranjezicht and Higgovale, is one of the most sought-after residential suburbs in Cape Town's City Bowl due to its' proximity to the city, its' position right below Lion's Head and its' stunning views of the city, Table Mountain and Devil's Peak. Tokai has a diverse selection of residences from which you may choose. Security complexes have become a highly sought after asset and there are many that have been recently built to accommodate this need. The majority of the homes exude modern architectural styles – mainly an open-living plan. They are spacious and yet, cosy at the same time. These complexes are perfect for newly-wed couples and young professionals. If you are deciding to upgrade to a bigger home, Tokai is able to oblige. Take a right at the M3 off-ramp and you will travel into the heart of Tokai. The tree-lined roads, reminiscent of Newlands, will immediately provide you with a sense of the beauty and seclusion that is characteristic of the suburb. A large area of the Tokai boasts magnificent homes with prices ranging from the low to mid eight figures; however, this is an area where “value for your money” should be the suburb’s slogan. The homes are perfect for large families, built on large plots and modern-living architecture and décor. This is an asset that will appreciate in value and allow you the peace of mind that if you decide to sell it in the future, your return on your investment will be substantial. Tokai is also in proximity to many restaurants and entertainment venues; the newly revamped Blue Route Mall provides for all your retail needs. A plethora of restaurants including: TriBakery, Jake’s as well as the Italian Kitchen are ready to provide you with a delicious array of meals. Vredehoek in Cape Town can be literally translated as ‘Peaceful Corner' and when you see the position and the views that it commands of Table Bay, you will understand the meaning. It is situated between the slopes of Table Mountain and Devil's Peak, which allows it to have views of most of the City Bowl. It lies above Mill Street to its' North and Upper Buitenkant Street to its' West. The main attractions to Vredehoek are the North-facing views of Table Bay and the CBD and the green parks ideal for young families, who generally reside in this area. The Vredehoek residential property market includes both freehold homes and sectional title apartments. Vredehoek, together with Gardens, is seen as a good value suburb in which first time homeowners and young couples can buy into Cape Town's City Bowl. To purchase a Vredehoek property will range in price from approximately R1,600,000 to R3,500,000. To purchase aVredehoek apartment will range in price from approximately R900,000 to R1,700,000. There is also a high demand for residential leasing in Vredehoek, both in freehold and sectional title. Torent a Vredehoek property will range in price from approximately R7,000 per month to R15,000 per month. To rent a Vredehoek apartment will range in price from approximately R4,500 per month to R8,500 per month. Vredehoek is full of great restaurants, cafes, bars and bistros. These are generally situated around the Derry Street area. Niche shopping is also present in this area of Vredehoek. Schools in the area include Herzlia High School, Herzlia Highlands Primary School and Good Hope Seminary Junior School. Vredehoek is a popular residential suburb in Cape Town's City Bowl due to its' position high above the city, its' green parks and playgrounds, its' restaurants and bistros and its' affordability. When it comes to finding property in Cape Town, the Southern Suburbs is a great place to start looking. For many reasons, this part of the Mother City is one that has been lauded. The convenience, amenities and beautiful surroundings that can be found there are a force to be reckoned with. One suburb that stands out as a suburb to be enjoyed is Wynberg. Originally just farm lands, the soil is fertile and the vegetation lush, making it one of Cape Town’s most beautiful hidden gems. Wynberg is a considerably big suburb, although it has all the charm of a smaller area. They speak to both the old and new worlds, with farm-style houses forming the bulk of the homes on offer, it is a journey through history walking through this suburb. These big properties, with their beautiful wooden floors and high ceilings, have long been characterised as classically Wynberg. On the other hand, of course, there are a number of modern complexes and apartment blocks in the area, all of which offer a convenient, ‘lock up and go’ lifestyle. The area is also fairly close to the Southern Suburbs’ finest amenities, including shopping malls like Cavendish Square and Constantia Village. Over and above that, Wynberg also has a number of great schools under its belt, including the esteemed Wynberg Boys’ and Girls’ Schools. These institutions have long been held in high regard, mainly because of the excellent matric results they produce every year. If you’re in the market for a great family home that will leave a lasting legacy, look no further than Wynberg. The suburb is indeed a rare beauty – so much so that over the years, investors have ploughed a lot of capital into the area to make sure that it remains the place so many residents love.